This Noise Is Ours: Vacivus - Nuclear Chaos 7"
North-Eastern death metal band Vacivus will return with their first new music since 2015's "Rite Of Ascension" EP at the end of March, with a new 7" via Goatprayer Records. 2017 is also set to be the year they release their debut album via the mighty Profound Lore Records. I'm lucky enough to be able to get an early listen to "Nuclear Chaos", which should provide a glimpse of what's to come from the band. This 7" will be limited to 250 copies on black wax. 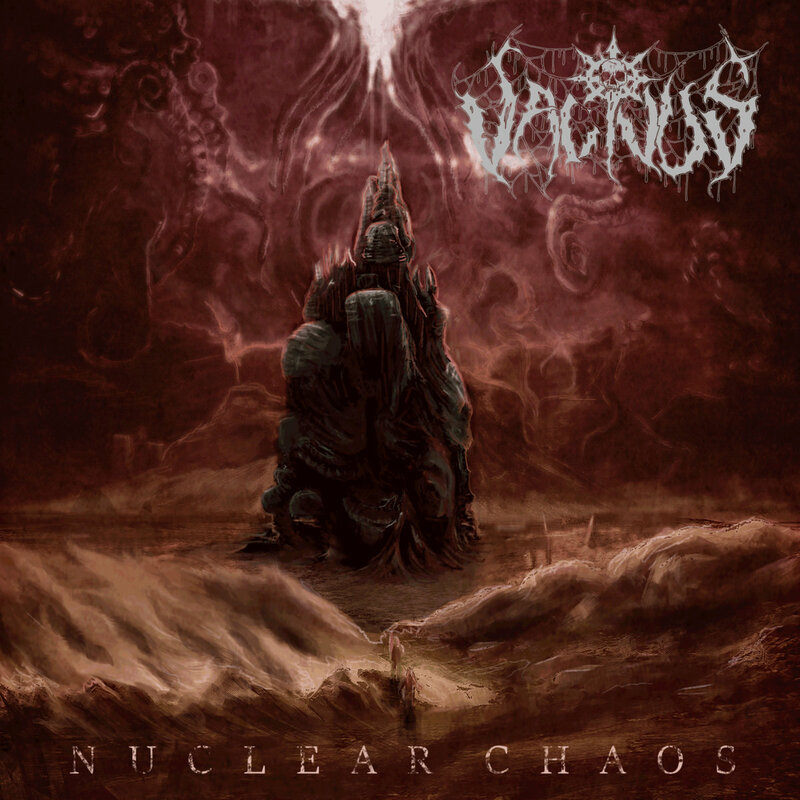 I loved “Rite Of Ascension” and also the previous incarnation of Vacivus, Dawn Of Chaos, so it’s good to hear new music from them. The 7”s opener Unchaining The Winds Of Uncreation begins with a morbid and terrifying ambient intro before Vacivus leap forth with blackened death. Resplendent in an old-school production, all of the instruments sound truly alive and the low/high-pitched growls sound like they belong alongside the likes of Incantation and Unleashed. The tempo rises on Blind Idiot God, with razor-sharp guitar riffs and thrashing percussion. High-pitched leads and subtle melodies break through the assault and the low bellows provide a greater sense of the occult coursing through the music. In truth, it’s unfair to both compare and pigeonhole Vacivus amongst other bands of their ilk, as they’ve touched upon a formula that is interesting and even (dare I say it) slightly approachable. They don’t go down the uber-necro route on this recording and they even allow for progression to seep through. I’m eagerly awaiting their Profound Lore debut album now!